For all us, the activities of daily living (for example: eating, bathing, dressing and toileting) keep us alive and safe. Including meaningful activities allows us to experience purpose and joy – vital to living the best life possible. What exactly are meaningful activities? These are activities based on the person’s interests, hobbies, skills and abilities – activities with purpose and joy make the day special. Meaningful activities can be important for seniors with dementia. These types of activities provide positive sensory, intellectual, cognitive and social stimulation. According to various research, they can also enhance relationships and may stimulate memory and use of language. Activities may also help reduce challenging behaviors associated with Alzheimer’s disease and other forms of dementia. 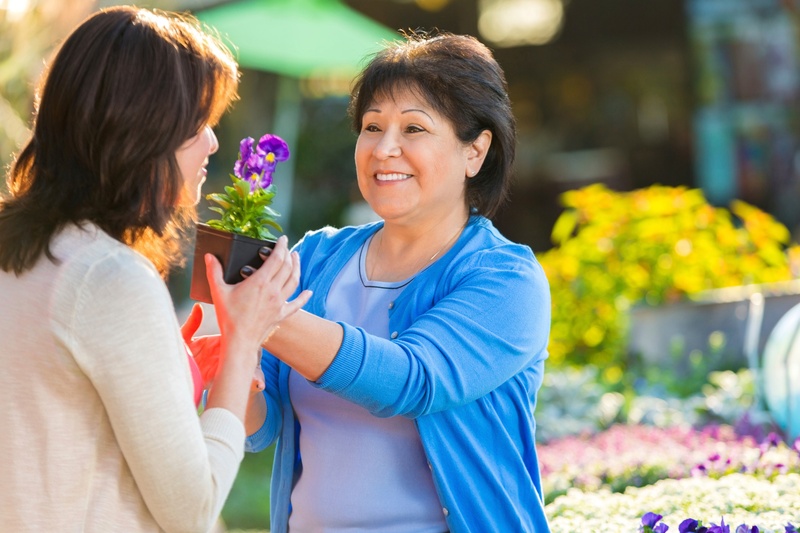 Implementing meaningful activities may require some assistance from family members or professional caregivers. People with dementia often lose their ability to choose an activity, or may have trouble figuring out how to start, continue and finish an activity– especially doing each step in the right order. They may lose their ability to read and follow directions, or solve obstacles that arise in the course of the project. As a result, they cannot engage in very activities most important to them without help from someone who understands their lost and still present abilities. Since we cannot cure or stop the progress of dementia, whatever we can do to provide a higher quality of life for these elders becomes vital and life-affirming. The goal is to provide satisfying, interesting, and engaging meaningful activities, customized for each person. Meaningful activities for seniors are not a one-size-fits-all proposition. After all, what is engaging and interesting to one person is likely not for someone else. Also, any individual’s abilities, hobbies and skills differ from another’s. Finding what lights up an older adult’s face can take some trial-and-error, but good results make it all worthwhile. For example, a person who loved playing baseball – but who is unable to play due to health issues – can still keep connected with their beloved pastime. Stories about baseball can be shared as well as baseball books, movies, memorabilia, famous photos and stats on various players or teams. The person may even enjoy attending a high school, college, or Little League game – even if only for a few innings. Watching recorded highlights of famous, long-ago games or listening to the play-by-play of a beloved childhood radio announcer can bring back fond memories to all seniors, including those with dementia. Meaningful activities help people with dementia connect with their family members and professional caregivers in deeper, more fulfilling ways. When older adults with dementia engage in meaningful activities they are often more willing to accept care. To learn more about ActivityWise, our customized program of meaningful activities, contact us today. Our caregiver can provide in-home assistance with activities of daily living along as well games, craft projects and other activities for seniors. We can be there for a few hours a day or provide around the clock care. For more information about dementia, watch our monthly dementia care videos.